Few home renovations do as much to transform your interior atmosphere as investing in a change of flooring. As a responsible homeowner, it’s in your best interest to choose new flooring that’s as attractive as it is functional. Coveted by shoppers the world over, vinyl flooring is one of the most beautiful, widely preferred materials available today. 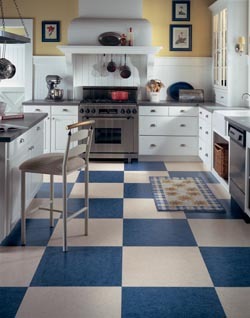 When you’re looking for luxury vinyl flooring in Sarasota, FL, local shoppers know to turn to G Fried Flooring America. At our fully stocked showroom, we proudly carry a vast assortment of luxury vinyl tile and other vinyl selections that offer incredible appeal and exceptional longevity. Our choices come in a wide variety of colors, patterns, and styles. As a result, you will have no trouble finding the right resilient flooring to fit your home remodeling project. Whatever your taste or preference, you are sure to find a desirable flooring choice that speaks to your vision. Due to its unique composition, our vinyl tile and luxury vinyl plank flooring can be crafted to offer the look of natural stone and hardwood flooring respectively with uncanny realism. When you choose any of our luxury vinyl floors, you can enjoy the excellent appeal of convincing-looking stone or wood flooring in areas of the home that typically are well-suited for either. Best of all, you’ll enjoy resilient flooring that offers a highly desirable look at only a fraction of the real thing. Are you unsure which luxury vinyl flooring material would best suit your project? Share your aspirations for your interior atmosphere with our knowledgeable team members and we’ll gladly help you find a vinyl flooring selection that meets your every requirement. Once you’re satisfied with your choice, our skilled luxury vinyl tile installation team will ensure your new flooring is laid perfectly into place. To maximize your property investment, turn to our skilled professionals for your flooring installation. Trust our experienced crew members with your flooring installation needs and we’ll ensure that your new floors are positioned correctly. Rest assured, our installation team will leave you with new flooring that will continue to impress time and time again. With our swift professionals handling your luxury vinyl tile installation, you’ll be able to enjoy your new floors even sooner than you anticipated. Contact our flooring specialists to learn more about our extensive selection of luxury vinyl floors. We proudly serve commercial and residential property owners in Sarasota, Longboat Key, Siesta Key, St. Armand’s Key, and Lakewood Ranch, Florida, as well as the surrounding communities.